Hidden away, down a native bush track of bottle brushes and black boys, a secret beach paradise reveals itself just over the sand dunes. It’s the first stop on Bob’s Coolum Beach bus tour and next up is a visit to a recognised Marine Turtle breeding ground near Point Arkwright. 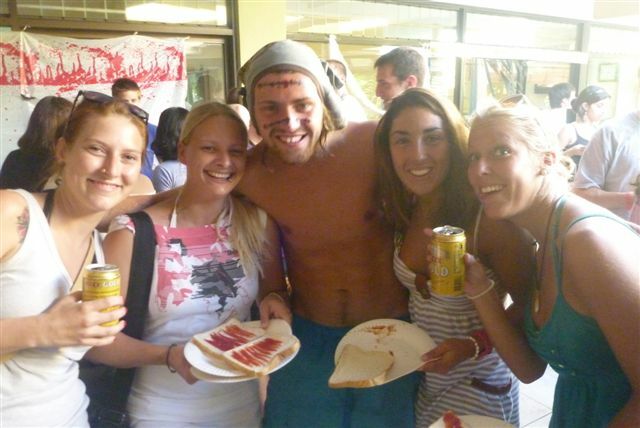 Noosa GV students hoorayed at the carton of xxxx beer they picked up between the two tour stops. Cooling off with a can to their lips, overlooking the bays of marine life, surf and beach, the students soaked up the sun and fresh air. There’s no other way, than the Aussie way! 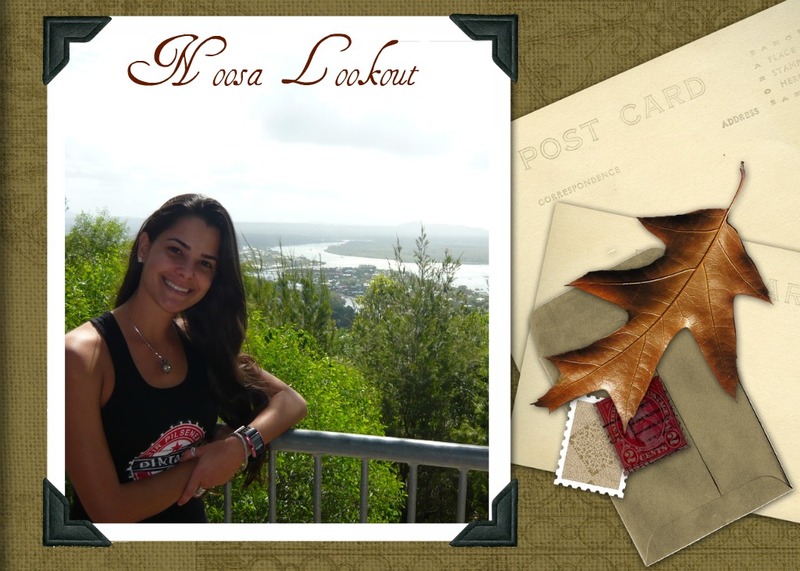 French student, Sabrina Sadouni tells us how she feels about her choice to study in Noosa Australia. 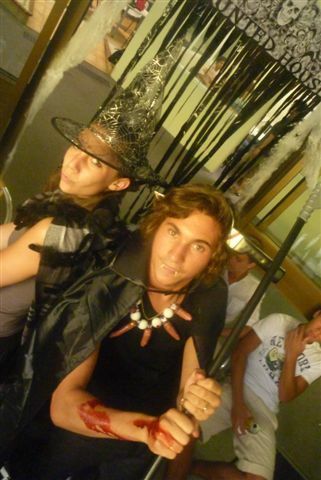 “Thanks to my agency in Paris, I’ve found a good school in a beautiful small town. At the beginning, I explained to my agent that I wanted a small town near the beach in Queensland and she suggested Noosa. I agreed and I’ve had no regrets about this choice. Looking for work? Maybe one of these available positions is worth a try. 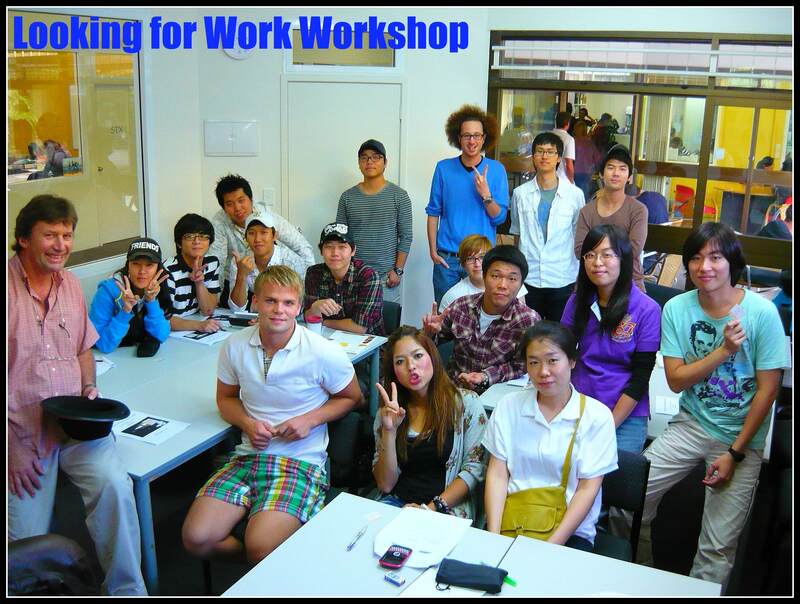 Also Teacher Robert’s job workshop will start again in the new year. It’s been a job well done, Thank you Robert! Short Order Cook/Barista/Customer Service – Must be experienced and have a good personality. Phone between 3pm and 5pm on 5447 2581 or drop resume into the Beach Chalet Shop at 1 Tingira Cres Sunrise Beach. Chef – Humid Restaurant. Full time work for keen motivated chef. Long term. Phone Michelle on 5449 9755. Chef/Cook – Breakfast and Lunch Monday to Friday. Apply with resume at FUEL CAFE, Arcadia Street Noosa Junction. Gusto Restaurant – Experienced waitperson required. Call 5449 7144. 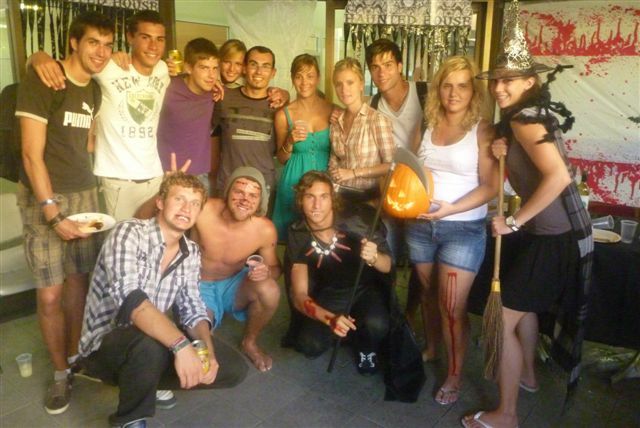 Experienced Cleaning Staff – Required for holiday accommodation. Weekend work essential. Must have ABN, Car and Mobile. Good rates. Phone 0411 509 630. Salesperson – Experienced. For a jewellery market shop on Wednesdays. Must be responsible and well-groomed. Phone 0416 185 575. Mechanic Workshop Help – Some experience is good but not necessary. Call Thomas 5455 5411. Noosa Springs is a fully integrated, international standard resort consisting of a championship golf course, boutique golf shop featuring leading fashion labels, world class spa, fitness centre, luxury accommodation, fine dining and function/conference facilities. We are seeking a multitalented person to join our Operations team as a Customer Service Attendant. As a Customer Service Attendant your role will include the delivery of superior customer service to our guests in the areas of Food & Beverage and Golf Operations. We offer excellent staff benefits and the opportunity of a rewarding career. 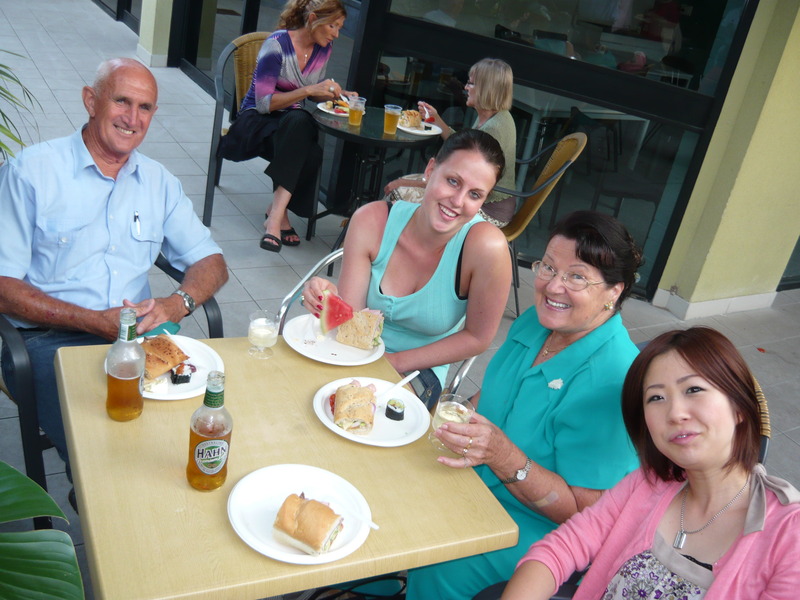 Cater Care Australia is a leading contract catering company in Australia. We are providers of catering to a diverse range of contracts including retirement living and aged care facilities, industrial cafeterias, universities and corporations. We currently have an opportunity for a reliable Weekend Casual Catering Assistant in the Noosa area. The successful applicant will have good HACCP knowledge, a commitment to food quality and safety, and an outgoing nature able to work with the elderly. Responsibilities include dining room duties and general kitchen duties. Hours: 12.00 to 7.00 pm Saturday and Sunday. We are looking for a reliable, motivated and friendly person with high customer service standards to join our friendly team in a great work environment. Restaurant on the Sunshine coast requires an experienced Head Chef & Sushi Chefs to start work immediately. Restaurant sits about 75 people, and is located on the river in Maroochydore. You will be working with a dedicated team in a dynamic and fast environment, it will be your attention to detail and passion for providing quality food and service that will be of greatest value. Excellent hot food as well as sushi making. Ability to control all other chefs. 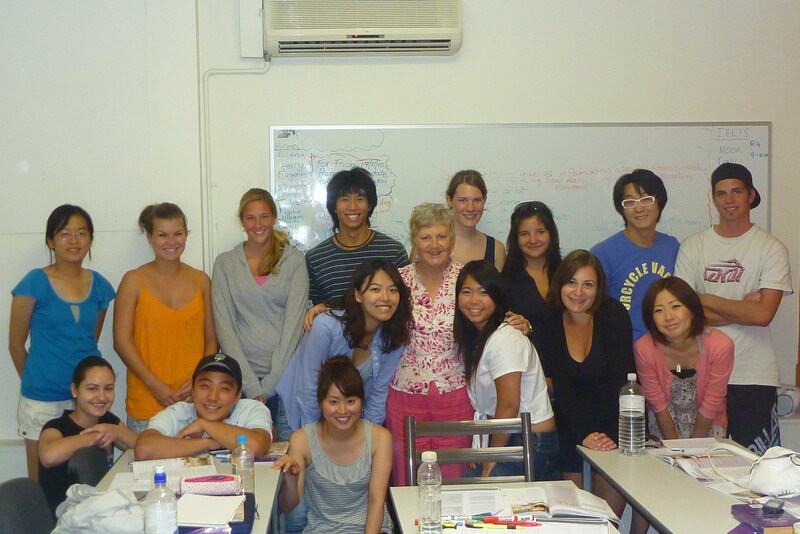 Proven experience in Japanese/Korean Sushi making. Sashimi preparation and cutting a bonus. Living in one of the best locations in Australia on the warm Sunshine coast. As a minimum, must have valid australian working visa, PR preferred. Experienced front of house waitstaff/hostess required for Embassy XO Restaurant at Sunshine Beach. Good food and wine knowledge is essential with a minimum of 5 years industry experience. The position will be permanent casual. 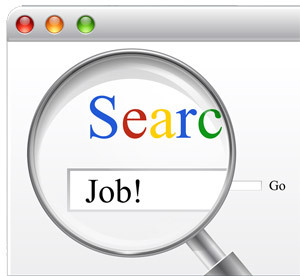 Be sure to check out www.seek.com.au for more available positions and come and speak with Nadia for any further job help requirements. 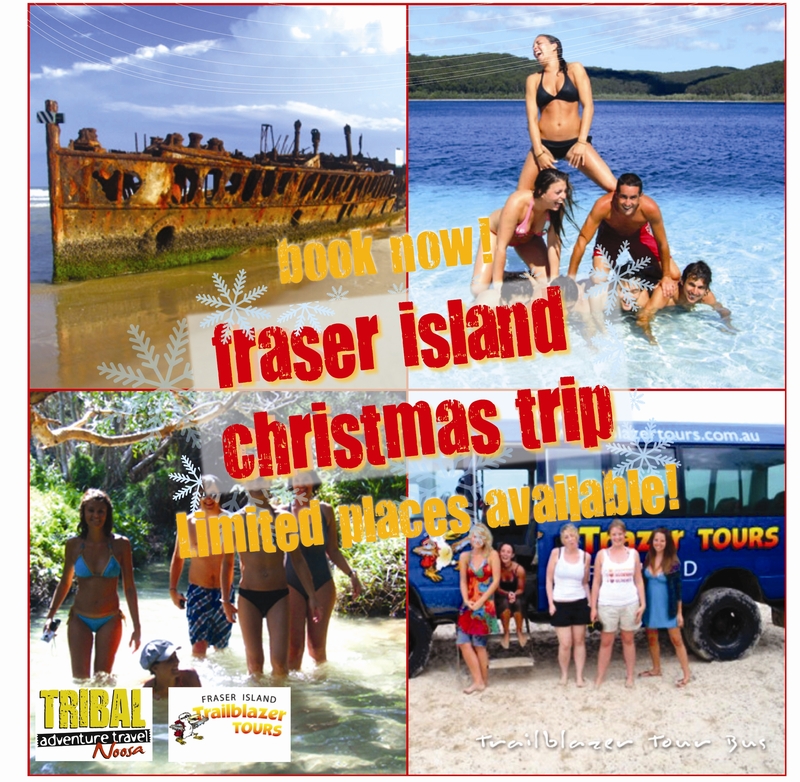 If you are looking to experience an unforgettable Aussie Christmas, spend the merry weekend on Fraser island! 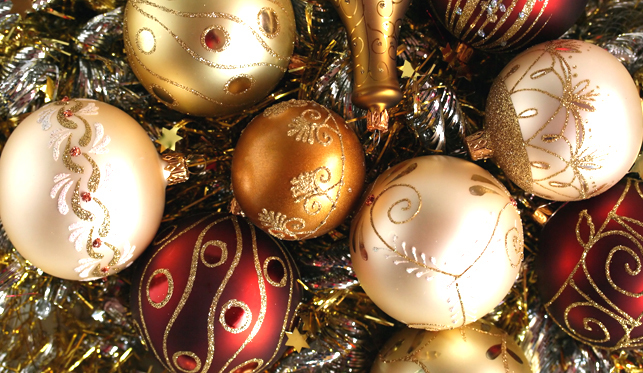 The trip will depart on December 25th for 3 days and 2 nights and will offer a special Christmas dinner! Reserve your spot now at Tribal Travel! Well, the Summer is here and there is no better way to spend your Wednesday afternoon’s than down at the beautiful Main Beach of Noosa, hangin’ out with your friends, takin’ a dip, catchin’ some waves, bakin’ in the sun and getting physical with a game of beach volleyball! Every Wednesday, Julie from GV Noosa will be setting up the volley net in front of the Noosa Main Beach Surf Life Saving Club. Julie will walk down from Global Village after school at 2pm. You can walk down with Julie or simply meet her at the beach. If you see Julie around the college, please introduce yourself and let her know if you are interested in playing volleyball each week. Bring your swimmers, towel, hat, sunscreen and water to school every Wednesday. It’s beach day!!! The beauty of Noosa is no secret but if you take a little step further away from the summer scene of beach and sun, you step into a wilderness world of greater heights. If you missed out on the mystery Noosa bus tour today, don’t worry because we like to take a trip anytime!! Be sure to read the activity board to sign on for next time. 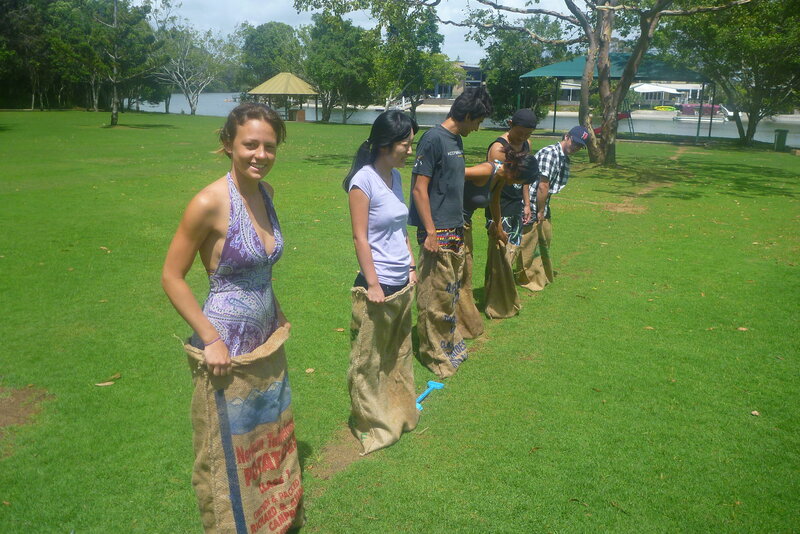 GV Noosa students experienced a traditional Aussie Friday afternoon by the Noosa River today for their activity. They were treated to some burgers and taught the basics of how to catch some fish for dinner! The students were very patient as they cast their rod and waited… and waited for the fish to bite. Some girls tried their luck at catching crabs instead by the rocks but soon realised that the birds in Noosa are also fishing for food and stole all their bait! Some students enjoyed a friendly game of football while others happily relaxed by the water and soaked in the beautiful scenery. It was a magical afternoon for all and a perfect start to the weekend! 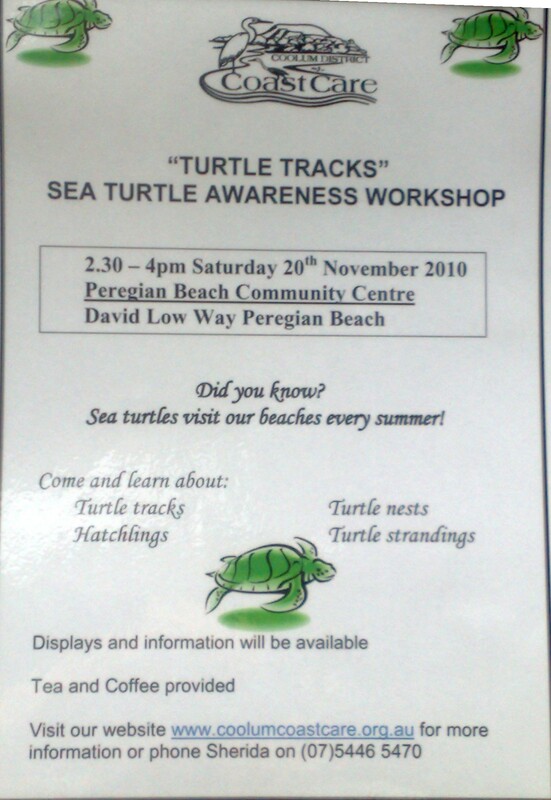 If you are keen to see the turtles on our wonderful beaches, check out the free information on session on this weekend. 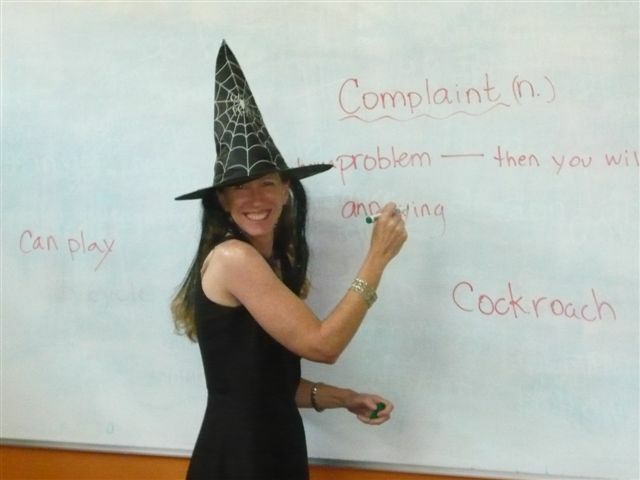 It will be a great way to practise your English also. 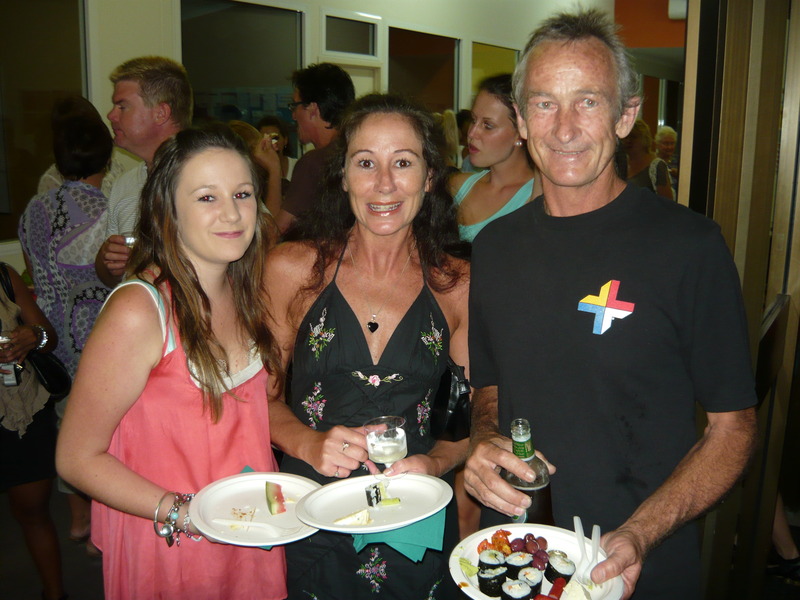 Last night homestay families and Global Village Noosa homestay staff enjoyed a refreshing drink and some nibbles to celebrate another year of successfully providing students with families and homes while they study. Congratulations to all homestay families and Global Village staff, for all your hard work and dedication…Merry Christmas. 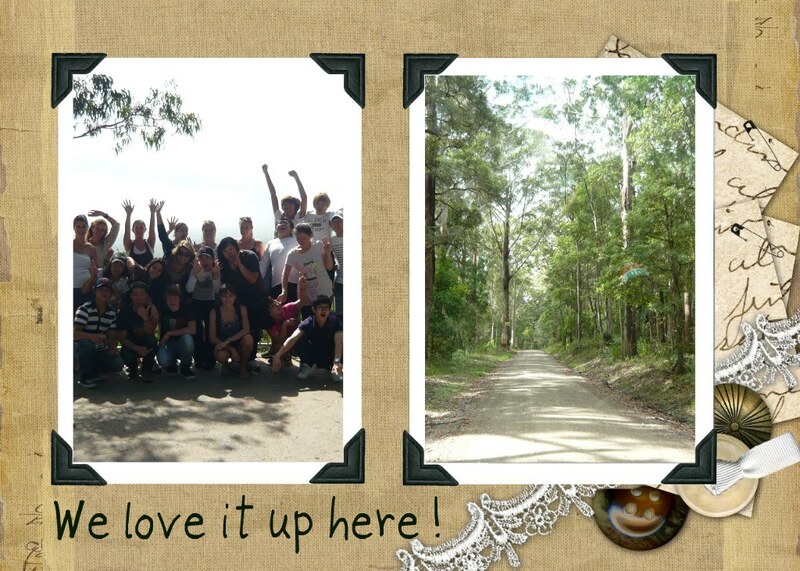 At Global Village Noosa we believe in real life experiences in and out of the classroom. Out & About students stepping outside of classroom. Over the past three weeks a second group of students have been taking part in our Out & About option course. A three-week program that incorporates English Language Text Studies from Cambridge, as well getting out and enjoying some great educational experiences and activities right here on the Sunshine Coast. 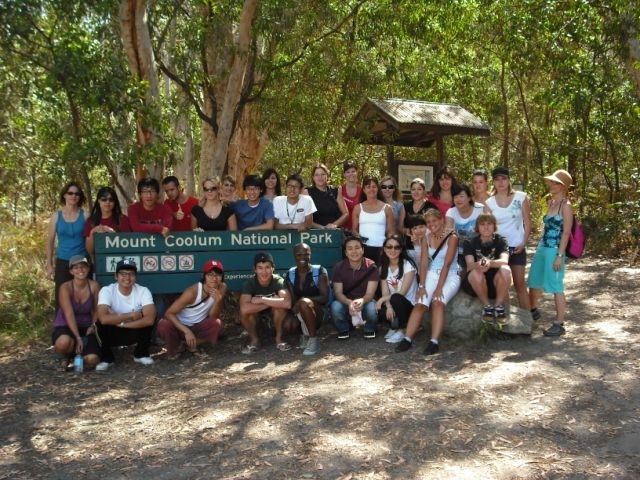 Some of the activities include, Surf Life Saving at Noosa SLSC, Tennis, Boating in Noosa River, Hiking up Mt. 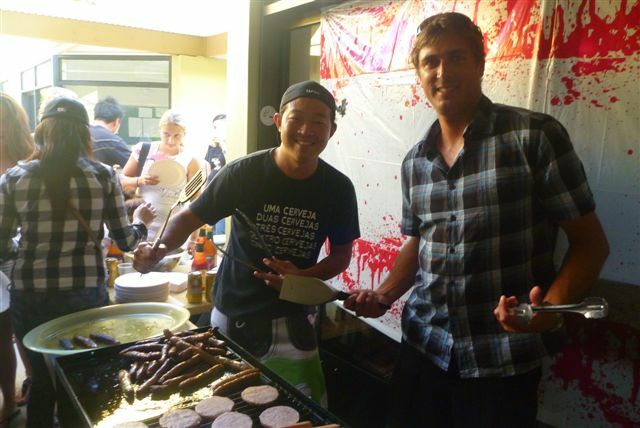 Coolum and a number of luscious BBQ’s and cooking events including a Master Chef contest. 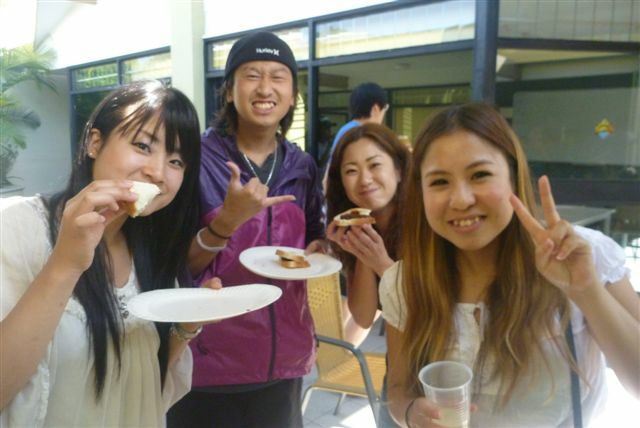 Global Village Noosa is currently buzzing with busy students studying hard and enjoying a great social atmosphere with other students from all around the world. 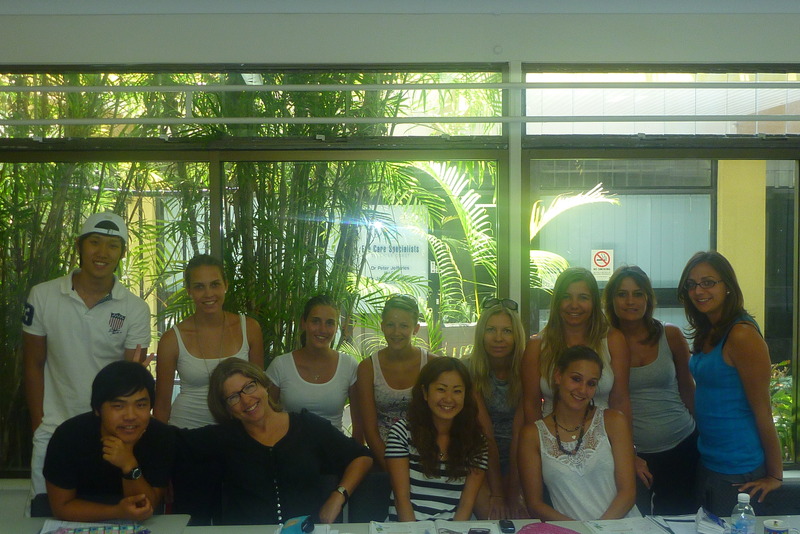 At the moment there are over three hundred students at the Global Village Noosa English College. Students who are keen to improve their english language skills are attending classes each day and working hard to achieve certificates that will open up both work and further studying prospects for their bright futures. Do you love living on the coast? 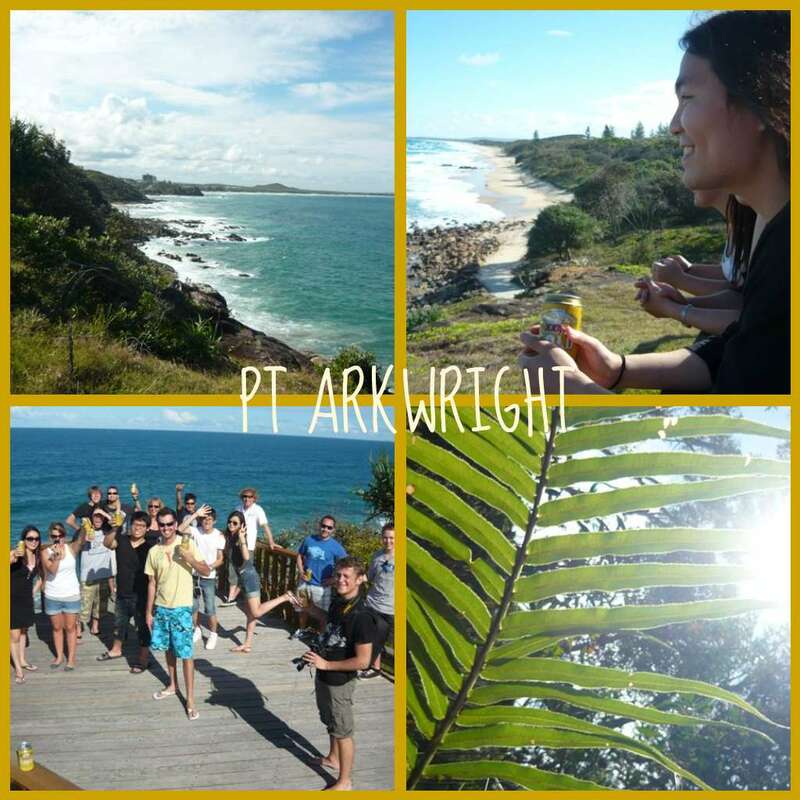 Studying so close to the beach, meeting interesting people and exploring Australia’s beautiful coastline? 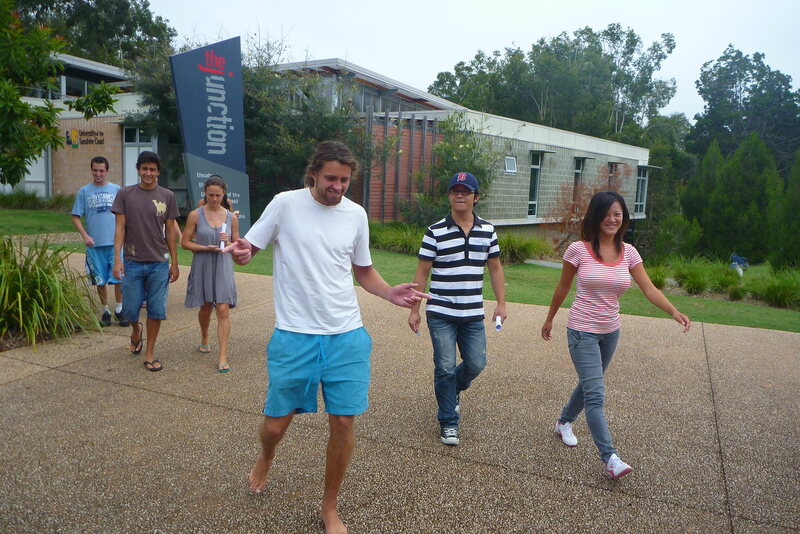 Would you like to continue your tertiary education here on the Sunshine Coast? 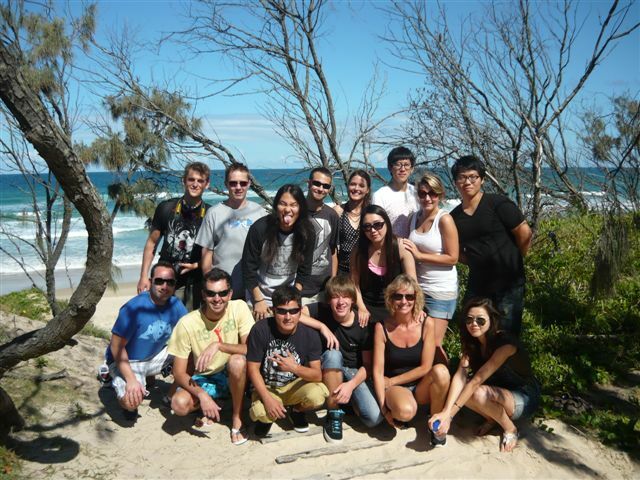 This Thursday at 2pm Global Village will have guest speakers from the University of the Sunshine Coast talking about the opportunity for international students to study a range of degree’s right here on the beautiful Sunshine Coast. If you would like to learn about the possibility of studying at the University of the Sunshine Coast, be sure to come to the common room at 2pm on Thursday. Where: Global Village Noosa common room. 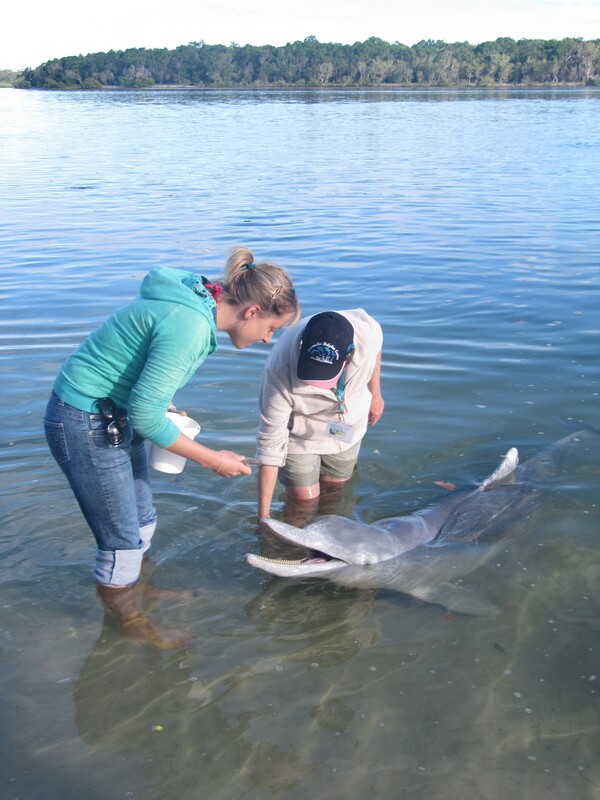 What: Study a university degree on the Sunshine Coast. Do you want to have the time of your life this weekend? Jump out of a plane on top of gorgeous Rainbow beach! Work hard at school this week and play hard this weekend! This is a once in a lifetime opportunity for only $399! That includes a 14,000 ft tandem skydive, 2 nights accommodation close to the beach and shops, private return coach transfer, breakfast and body board hire! If you don’t feel like jumping out of a plane then just take a trip to Rainbow Beach and watch your friends skydive for only $108! Limited places available so book at Tribal Travel now! 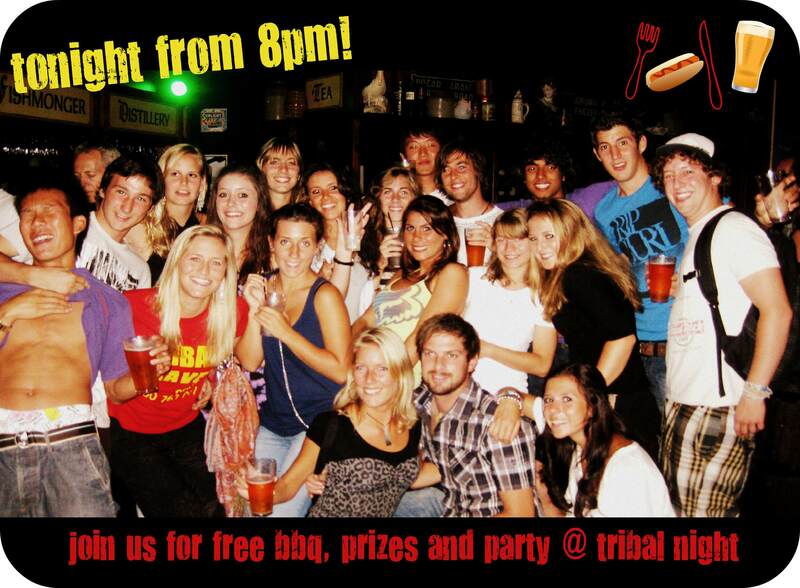 Join Us For Tribal Night Tonight! 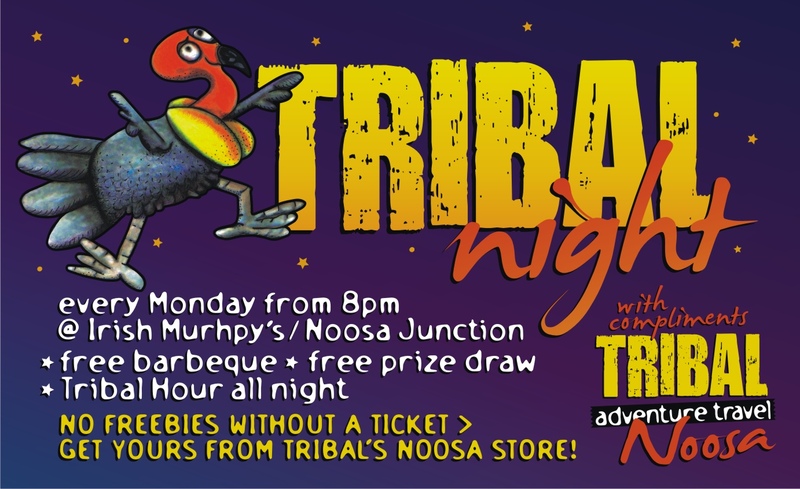 Don’t forget to grab your tribal card today to get your free BBQ @ Tribal Night tonight! Join us for the best party in Noosa tonight at Irish Murphy’s! Tribal Travel presents the famous Tribal Night from 8pm. Dance to the latest and greatest music from DJ Tom till 2am! Grab a card from Tribal Travel today and present to the gorgeous Kayley tonight to get your free bbq with any drink purchase and a lucky ticket for your chance to win some great prizes thanks to Tribal Travel. 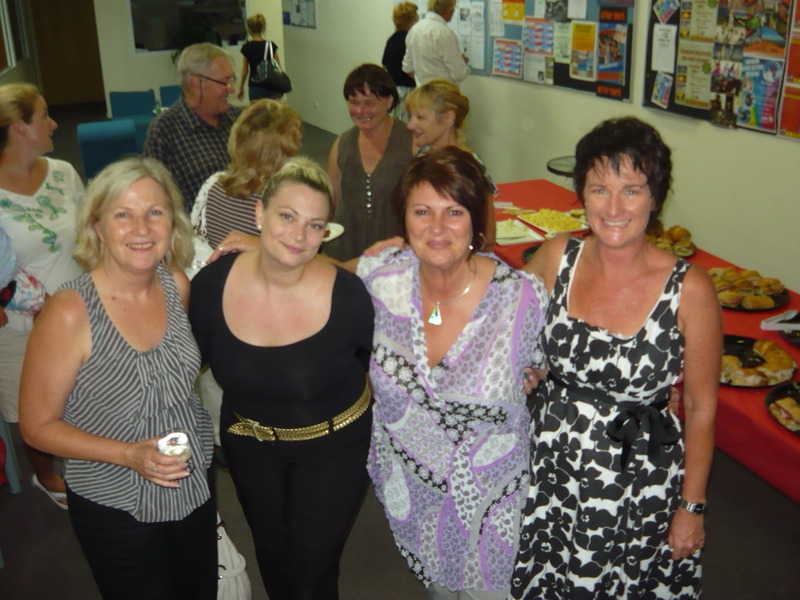 Tonight the prizes include a two for one Whitsunday trip and local Boomerang day tours. See you there! Our crazy FCE 3 class gave their teacher David a big birthday surprise today when they weren’t sitting in class at 9 am sharp as usual! The usually perfect class wanted to play a birthday trick on their David so with the help of Becky (the Director of Studies), they arranged to all arrive at school 20 minutes late. For 20 minutes, Becky had David in her office to tell him that his class thought he was a very bad teacher and they were not coming any more. Poor David didn’t know what to think, until they all arrived with cake and balloons to wish ‘the best teacher they have ever had’ a VERY HAPPY BIRTHDAY. 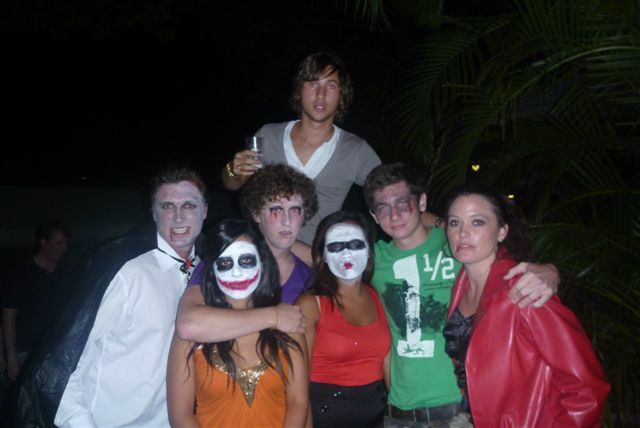 If you want to know how old David is…..ask him. Have you got your tax file number? Have you got an ABN? Is your resume prepared? Are you looking for work? 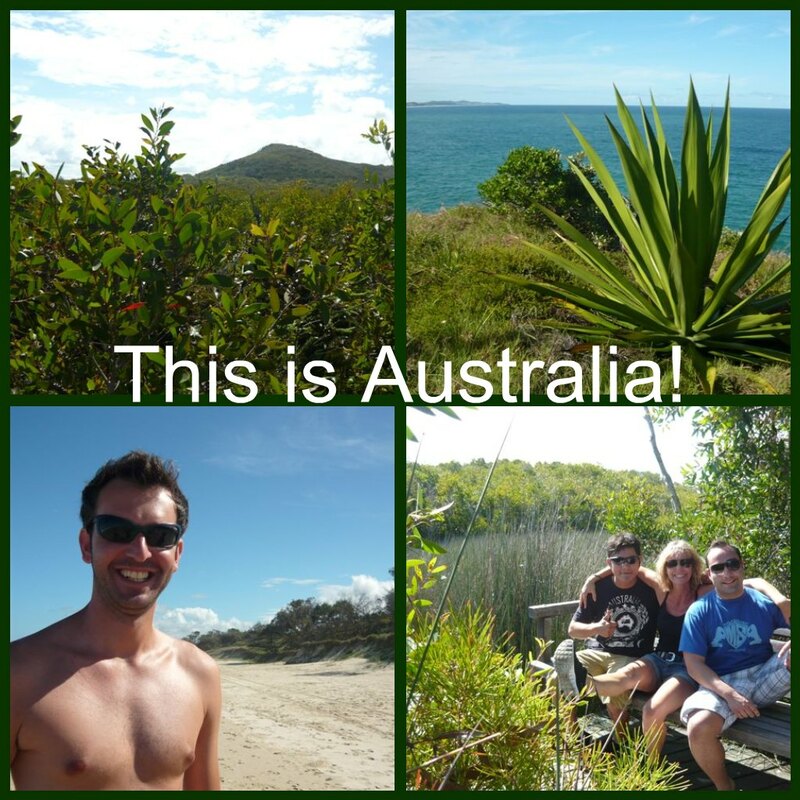 Here are some available positions in the Noosa area and some handy hints to help you find a job. Chef – Humid. Full time work for a keen motivated chef. Guaranteed long-term employment. Phone Michelle on 5449 9755. 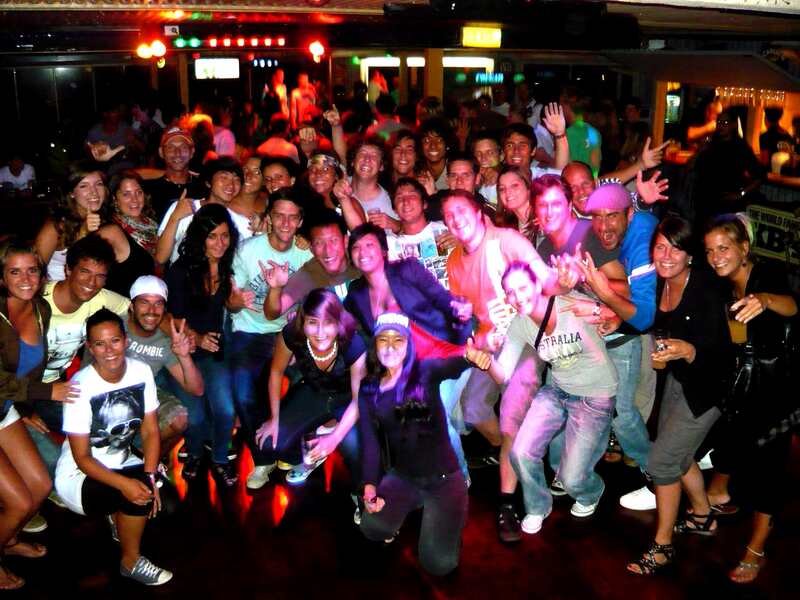 Floor staff – Sails Restaurant. Must have 5 years experience and wine knowledge. RSA needed. Email simone@sailsnoosa.com.au or drop resume into 75 Hastings Street, Noosa Heads. Casual Chef – Mon – Fri day shifts. No cooking required. Phone 0418 880 425. Chef – Required for busy Noosa cafe. No evenings. no splits. Phone 0423 015 716. 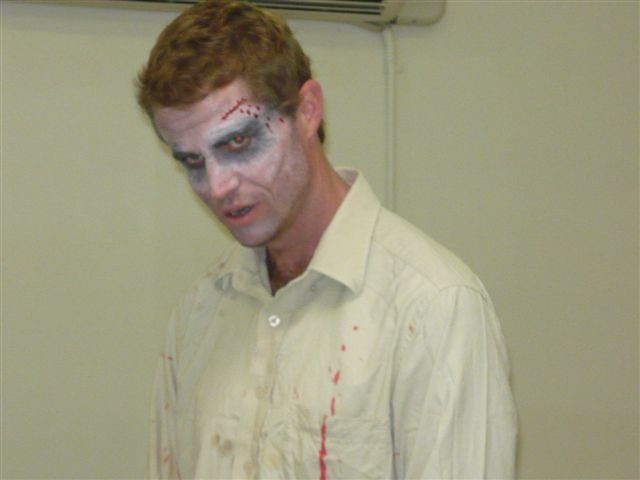 Beauty Therapist – Required part-time. 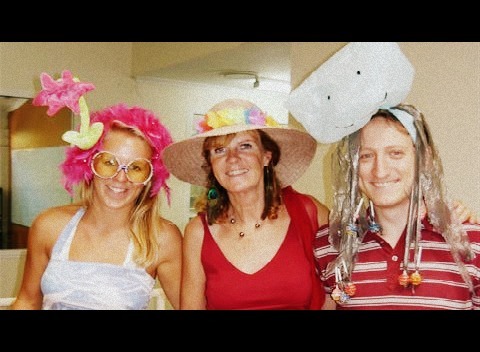 Come and join a wonderful team at the Noosa Spa. Please send CV to PO Box 875, Noosa Heads 4567. Beauty Therapist – Casual position 20 – 25 hours per week. Must have 2 – 5 years experience. Phone 0434 915 660. Deliverer – Small phone books need delivering. Own car required. Early November start. Phone 0419 009 517 or 0418 994 956. Resort Cleaner – Experienced. Own ABN and transport. Must be reliable and available weekends. Phone 0435 913 727. 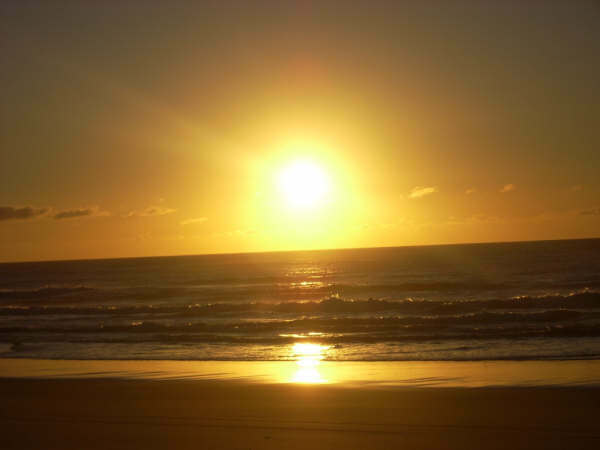 Massage Therapist – Wanted for massage on the beach – Noosa. Phone 0411 212 329. Cleaners – Experienced cleaners required for quality resort. Noosa and Coolum. Equipment and insurance included. 7 days a week available. immediate start. Phone 0408 726 696 or 5447 2437. Kitchen hand and 1st Year Apprentice – Required Gusto Restaurant. Phone 5449 7144. Phone Sales – Excellent income potential. Sunshine Beach. Call Ian on 0450 409 664 or Rod on 0419 991 910. Come and see Nadia at the Student Services desk to help organise an ABN, TFN and your resume. Don’t forget to sign for the next job workshop with Teacher Robert. they run every three weeks. 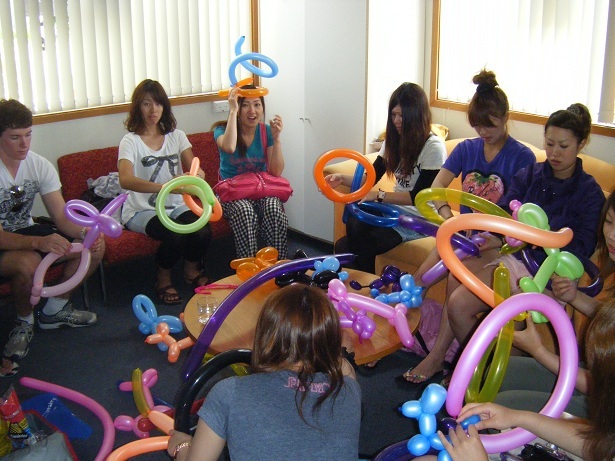 Tomorrow at GV Noosa a balloon artist will be at the college to show everybody how to make wonderful artistic rubber creations. Don’t be shy! Come along and try it out for yourself. 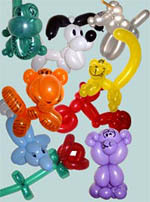 You might be able to make something for your family or friends to take home. Put a smile on someone’s dial for the weekend. 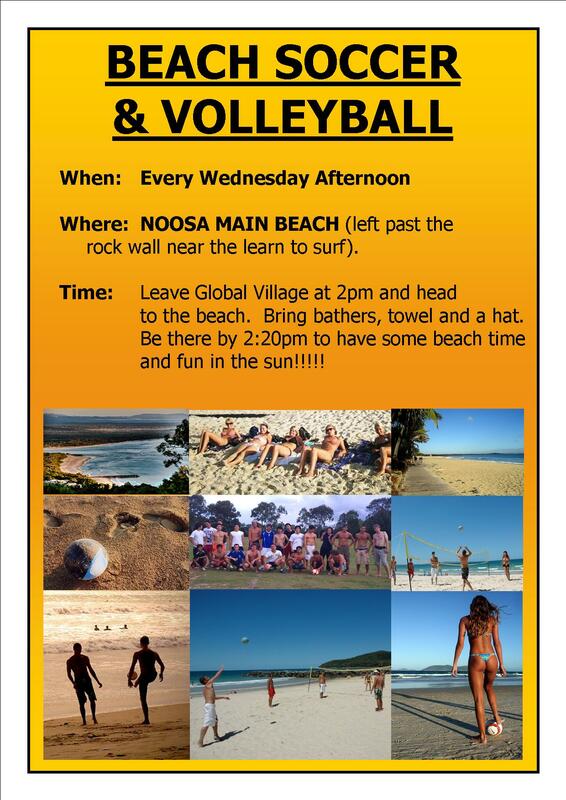 Here at Gv Noosa, we like to make sure that students get to enjoy and experience sport and the beach as much as possible. Summer is not far away and there is no better way to spend your mid week Wednesdays than to play some beach volleyball and soccer with you friends in the surf, sand and sun!!!! Everyone is welcome!! Don’t forget to bring your bathers, a towel and a hat to college every Wednesday!! 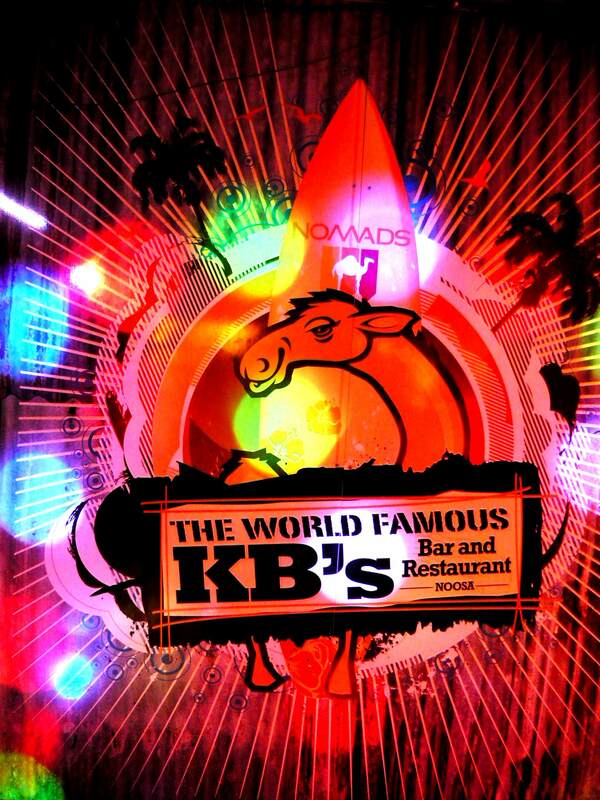 Everybody knows that on Thursday nights at the world famous KB’s Bar, shouted drinks, heaps of prizes and free meals are being given away to the early birds who get there between 7:30pm – 8:00pm. Be sure to get your free meal voucher from Nadia or Reception for every Thursday night After Dark!!!! Here’s how much we had last week! Don’t forget that this weekend Tribal Travel have organised an amazing skydive package…… Its only $399 and includes private return coach transfer to Rainbow Beach (pickup from GV Noosa and Maroochydore), 2 nights accommodation, 2 breakfasts PLUS your 14,000 skydive. 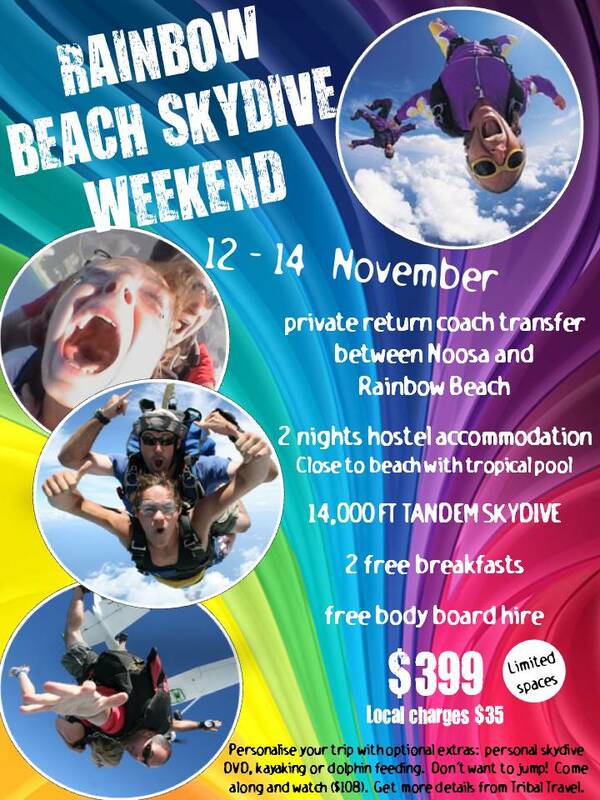 Want to go to Rainbow Beach but not skydive???? You can still come along for only $108….. So what are you waiting for, see Tribal today to secure your place! 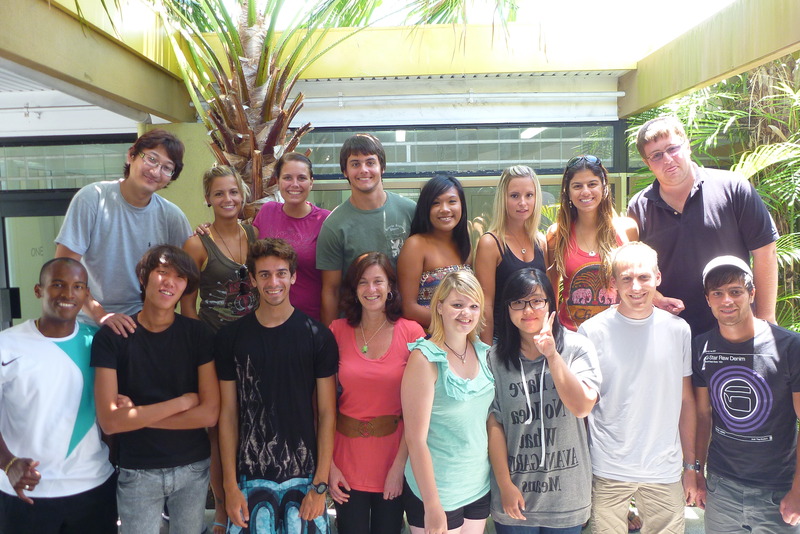 Global Village is looking for 2 students to work at the Homestay Christmas Party! We require x1 male and x1 female (over the age of 18) to assist with the drinks table at the homestay Christmas party on Wed 17/11/10. Please see Nadia at reception for the position. Looking for work? Check out some of these available positions. They may suit you! Barista – Required for 10 hours per week. Only ABN holders need apply. Phone 0421 426 053. Kitchen Hand – Gusto Restaurant. Call 5449 7144. Waitstaff – Weekends essential. No evenings, no spitshifts. Busy Noosa cafe. Leave a message on 0423 015 716. Casual Chef Apprentice – Squid Ink. Reliable and efficient. Required 4 nights per week. Phone Tony on 0448 623 369 or 5447 4604. Beauty Therapist – Casual position. 20 – 25 hours per week. Must have 2-5 yeasr experience. Phone 0434 915 660. Beauty Therapist – and massage – Required for weekend work. 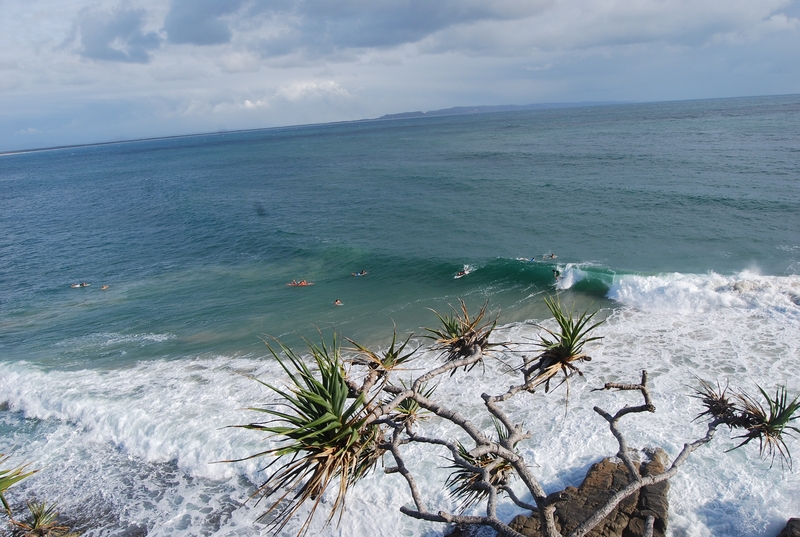 Noosa Heads area. 2 years experience required. Phone 0439 709 954. Fitness and Health Services – A new health fitness studio has opened up and they are looking for people who have relevant active industry experience, be an ABN holder, be motivated and highly professional. Please email your resume and a recent photograph to info@theworkoutshed.com by the 12th of November. Resort and Holiday Home Cleaners – You must be hard working and reliable with attention to detail. Experience preferred but not essential. Must have ABN and own transport. 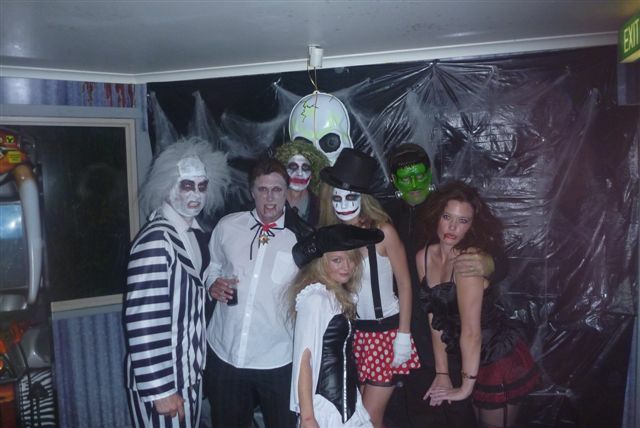 Phone Alison on 0457 669 220. Window Cleaner – Experience preferred but not essential. Noosa based company. Please call 0422 978 765. Cleaners – Experienced. High quality resorts in Coolum and Noosa. Equipment and Insurance are included in the job. 7 days availablity. start asap. Phone 0408 726 696 or 5447 2437. On Tuesday it was the first time for most of the GV students to participate in a sweep. Whats a sweep? Read below to find out more. In Australia on the first Tuesday in November every year, a major horse race event known as ‘Melbourne Cup’ takes place in, you guessed it, Melbourne Victoria. 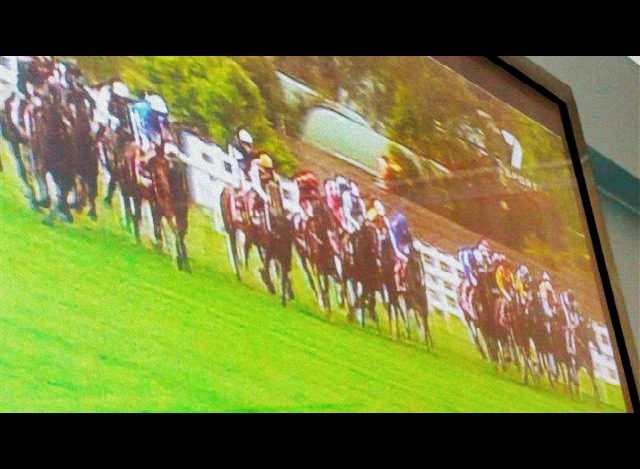 This year 24 horses competed in the race at Flemington. Most Australians celebrate this day by wearing fancy hats, drinking champagne and most importantly by putting on a few bets. A fun workplace activity is to organise a sweep. A Melbourne Cup sweep is when you put all of the horse names singularly into a hat and each person involved in the sweep pays an agreed amount in exchange to pull out a horses name. It’s a bit like a lucky dip. All of the money then becomes a prize pool. Who ever picked the winning horse gets to take the prize pool of money. Most classrooms had their own sweep running and Nadia organised a couple more $2 sweeps for staff and students to participate in. A Hinterland Day Tour (courtesy of Tribal Travel) was given away to a student with the best hat and at 2pm in the kitchen the race was on!!! Bets were down and sweeps were full. Everyone was hoping for their horse to pull through into first place. It was Amercain who crossed the finish line nose first, a horse which Lindsay our Registrar thought had no chance. 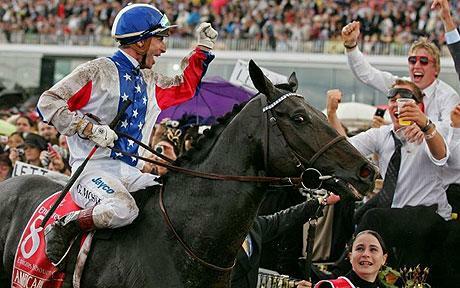 Turns out Lindsay was off to buy new shoes with the $48 sweep one winnings and Teacher Michelle from America found it most appropriate when her horse Americain won her the $48 prize pool from sweep two. Here is your chance to experience the most intense adrenaline rush you will ever have!!! Tribal Travel is offering a Skydive weekend in Rainbow beach, including transportation, accommodation with breakfast and a 14000 ft tandem jump (landing on the beach!!!!) for only $399*. If you never dared to go by yourself, get a group of friends together and hop on this thrilling weekend. 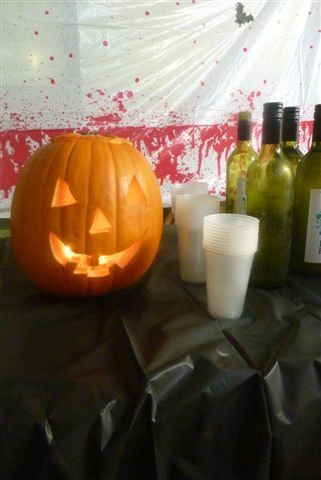 The Friday afternoon halloween party at GV Noosa followed through til Sunday at the world famous KB’s bar for a little trick or treat. These photos tell the story. 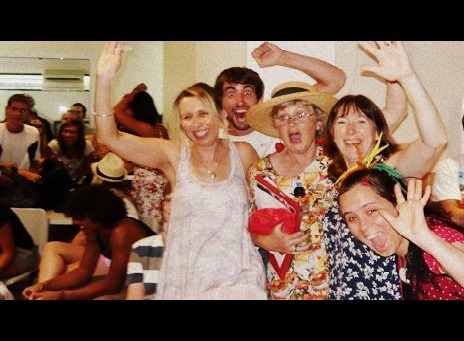 Check out the new Noosa Tourism video….and some familiar faces from our students and staff! I can’t get that song out of my head now, either. 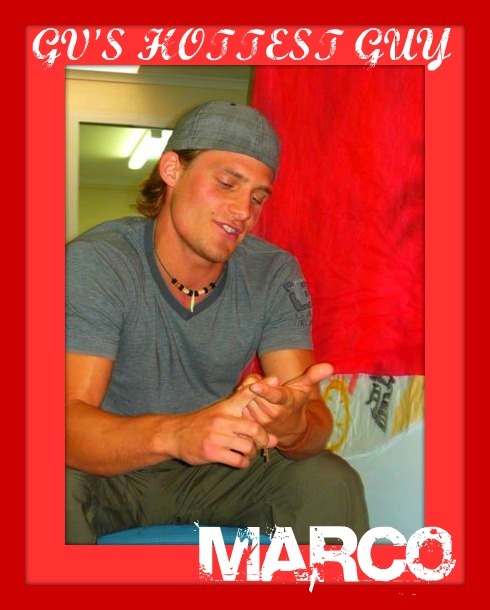 Love is in the air, everywhere we look around and GV’s hottest Swiss guy Marco, has won our hearts. Global Village is never short of a little romance. We have witnessed many students share a summer fling, fall in love and even go to extremes like getting married. We thought it would be nice this Spring to match make GV’s hottest guy Marco, with the woman of his dreams, on a romantic date to dinner and the movies. Perfect Match is a fun dating game of mystery, romance and surprise. In this case 4 glamorous female contestants perched behind a red curtain gave their honest feelings and words to the hot mystery man who was courting them from the other side. Marco had no idea who was behind the red curtain before deciding his preferred love affair with one of the lucky contestants. Marco and his perfect match will get to know each other more in the cinema and over dinner at Italian restaurant, Pasta Pronto. 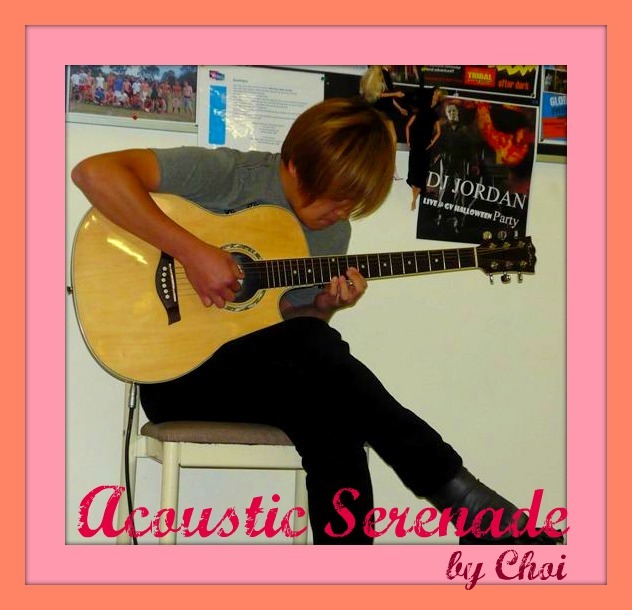 Choi from Korea helped set the mood by playing some romantic classical numbers on guitar. The rest of GV watched and waited in anticipation to see who Marco would end up choosing as his perfect match. Each female contestant signified true beauty of a woman inside and out. They all shared good looks, amazing personalities, talent and confidence. Let’s check out how they went. Although Jenny flattered Marco with her hard to get approach she was the first to go. Ananda proved to be a caring, loving and sensitive woman but this too was not Marco’s preferred type. Alejandra came across as very fun, friendly and committed. She likes to party, party, party but Marco had his mind on somebody else. Was it the one night stand question that put Aurelia over the line, who knows but Marco knew at some point that Aurelia was his perfect match! Congratulations to the two of you. We can’t wait to hear all the goss! 1) What is the one thing about yourself that you would like me to know? 2) When was your last relationship and how long did it last? 3) What are you looking for in a relationship? 4) What do you think is the most important value in a relationship? 5) Do you want to marry? 6) What do you do for fun? 7) Do you believe in love at first sight? 8) Which is your favourite book/movie? 9) Which is the one job in the world that you would love to do? 10) Which is your favourite music? 11) How do you spend your spare time? 12) If you were an animal what would you want to be? 13) Which was the first crush you ever had? 14) Describe your perfect holiday.